A very brief history of the Luddites; in the late 1700's a host of new inventions threatened to transform the textile industry which up to then had been a skilled hand craft undertaken by self employed artisans. 1764 the spinning jenny, then Arkwright's water frame 1769 installed in the first real factories just down the road from me at Cromford Mill. 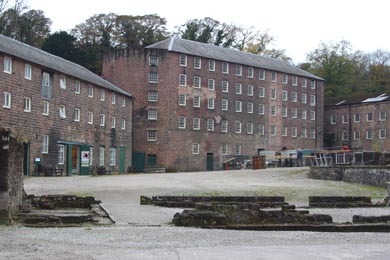 The mill started employing 200 people mostly women and children the youngest being aged just 7 years old. My personal view is that the loss of social status and the difference between doing a job that is valued, which you trained for years to be good at and valued for are as important as the money. It was about power, in the craft model the artisan was empowered, in factory production all power lay with the factory owner. So the Luddites rebelled. Violence against machines was not their first move but the last resort. As early as 1778 the stockingers had attempted but failed to get an act through parliament regulating the "art and mystery of framework knitting". 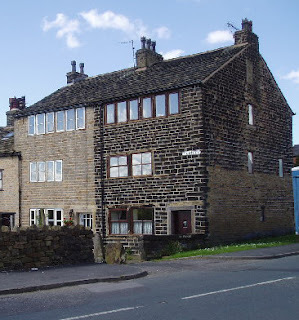 The Luddites were highly organised, they nicknamed their fictional leader Nedd Ludd to protect their anonymity. On 11th March 1811 they broke wide knitting frames at a workshop in the village of Arnold in Nottinghamshire, they claimed the frames made poor products devaluing the craft and the owner was employing workers who had not completed the 7 year apprenticeship required by law. The actions spread to surrounding villages and across the neighboring counties of Derbyshire, Liecestershire and then into the cotton mills of Manchester. Social historians see this is a crucial turning point in the development of a "working class" who became organised and exercised some power. It can be seen as the first step toward trade unions and workers rights. Framebreaking continued for several years, some concessions were made in terms of wages, rights, and release of prisoners accused of being ringleaders and attacks decreased after 1814. So how does this relate to our situation today? 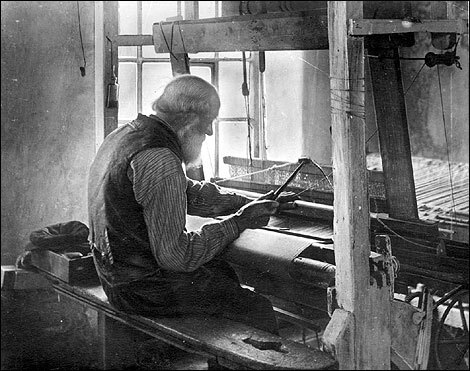 If I choose to use a technology that demands high skill level rather than capital investment and I value self determination in my work, working for myself from home rather than for someone else as an unskilled machine minder then perhaps I do owe something to Nedd Ludd whoever he was. How remarkably similar this all sounds to the words of William Morris 100 years ago, both the honour of handwork and the social effects of labour management. How similar also to the recent books by Richard Sennett and particularly Mathew Crawford, "The case for working with your hands, or why office work is bad for you and fixing things feels good"
Blood oath. I think I might be a Luddite!